So those of you who have read my blogs are probably used to hearing me bemoaning the fact that I am no longer in Africa but am back in France whilst I am studying towards a degree. I can’t really complain, life is still good, but the European wildlife feels a bit lacking when you have been used to the mega fauna of Africa. I have however continued to put out my camera traps in order to survey my property and the surrounding countryside and it’s busier than you would think. Badgers, foxes, hares, otters, roe deer, squirrels, stone martens and wild boar make regular contact with my paltry two cameras. Not really enough camera power to base a study on but interesting all the same. 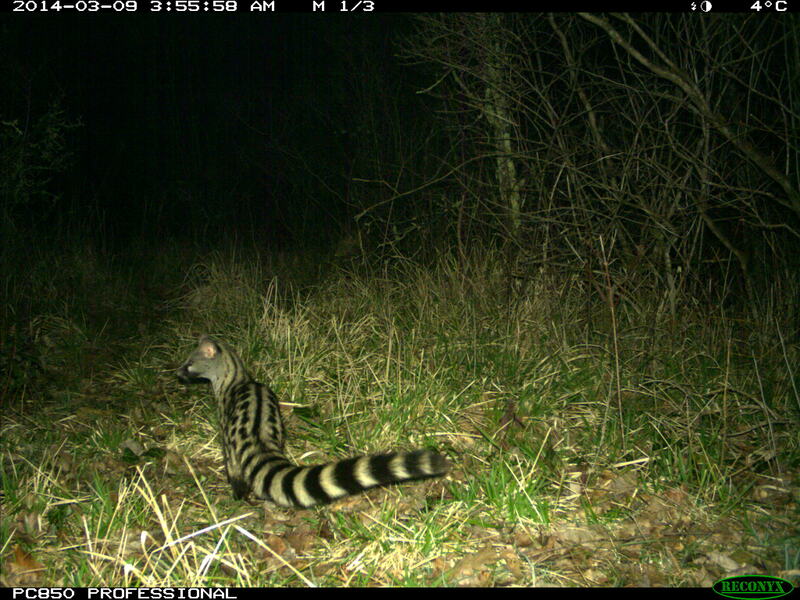 The highlight has been the discovery that one little favourite of mine from Africa has followed me to France; the genet. 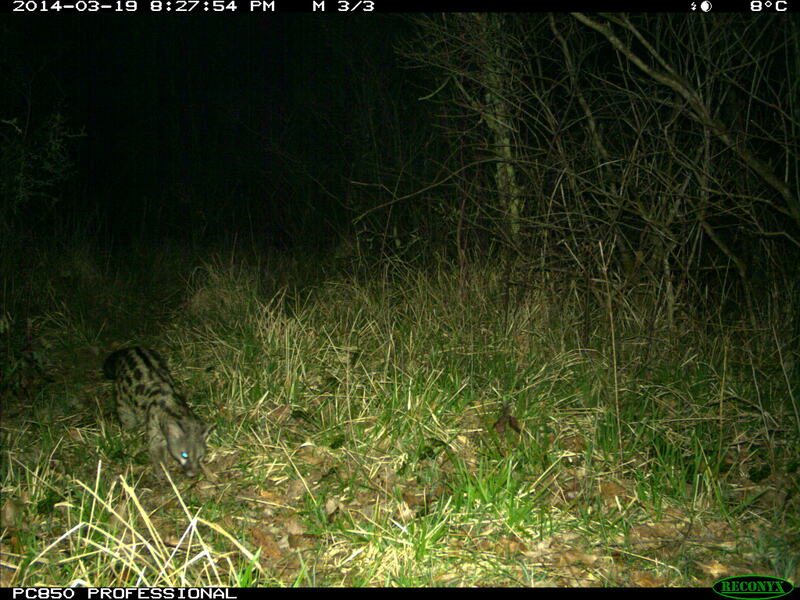 Yes the common genet (Genetta genetta) lives in France and I am ecstatic to say right by my house too. It seems no-one really knows how they got here but it was probably something to do with the Romans centuries ago being brought over from the Magreb region of North Africa. They are now naturalised animals in Spain, Portugal and France. Refreshingly for an introduced animal they are not invasive and have little impact if any on the native wildlife, so I can go on loving them with a clear conscience. 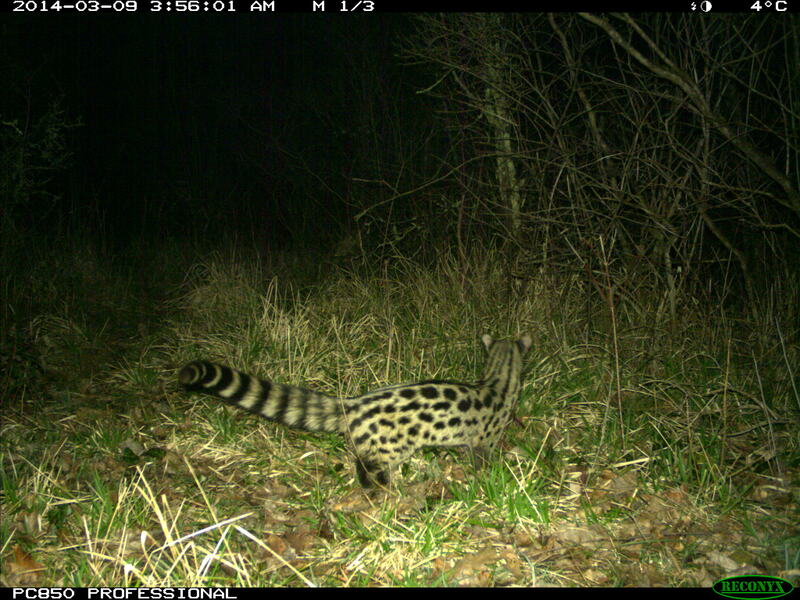 Here are a couple of shots of genets in France for your enjoyment! Wow… I never knew about the genet’s introduction to Europe! Thanks for letting us know, Lucy! If I saw one of those in my backyard before I started classifying, I’d be running for the hills.